Find an awesome deal on the iPhone XS Max with TigerMobiles.com. The biggest and best of the 2018 Apple line up is a monster of a mobile. There’s a top end huge screen, tons of power, fantastic cameras, and loads of features. Is this the iPhone for you? 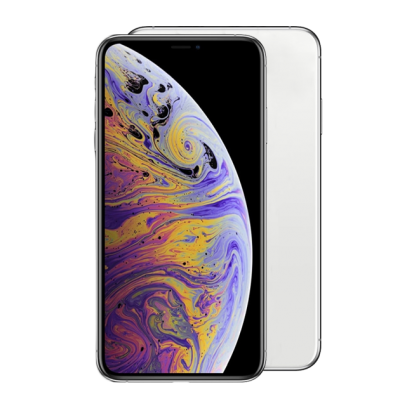 Then just check out our great deals on the iPhone XS Max below. The release of Apple’s newest iPhones is always an eagerly awaited moment. But with so many fantastic top end phones on the market, does Apple really have what it takes to provide serious competition? The top end iPhone XS Max is proof that not only are Apple at the top of their game but that there’s still plenty to get excited about in a new iPhone. Apple released three devices in 2018, and the XS Max is the top of the top, not to mention the largest of the three. Why should you want one? Well, there’s that huge screen for starters. There’s also a great camera set, loads of power, and some cool extras too. You’re not going to be getting a bargain here, the XS Max is definitely pricey, but it is also an incredible phone. In terms of design, this is clearly an iPhone. There’s a slim profile, sleek lines, elegant curves, this is classic Apple design. The build is stainless steel and glass, which keeps the XS Max both lightweight and robust, and gives it a true premium hand feel. The design here is nothing new, but the XS Max is such a looker that that’s really not an issue. Under the hood you’re getting some nice upgrades too. There’s that huge display, for a start, as well as upgraded power and camera specs, and a few nice little extra additions. The XS Max has everything that you’re looking for in a flagship phone, and it’s beautiful to boot. We’re not going to lie, the XS Max isn’t cheap. It’s eye-wateringly expensive. However, you’re definitely getting what you pay for. This is one of the best phones on the market right now, and it’s sure to be a crowd pleaser too. Apple tend not to give away exact details of their processors, but this much is clear: you’re getting top end performance here. We do know that there’s hexa core processing on board, as well as the new Apple A12 Bionic chipset, and a satisfying 4 GB of RAM. The XS Max is super fast, and very, very responsive to input. It should come as no surprise that this is an iOS device. Out of the box, you’re getting the latest iOS12 operating system. This gives you more speed, stability, and security, as well as some cool new features. You can now group chat over facetime, there are shortcuts for Siri, plus cool little things like animated emojis. Long story short, performance here is flawless. Even the most demanding user is sure to be satisfied. The XS Max is fast and responsive, there’s no lag even when multi tasking. Whatever you need to do, the Max is more than capable of handling it. The display is going to be a big selling point here, quite literally since you’re getting a massive 6.5 inches of screen real estate. That’s way more than enough room for comfortable typing and excellent viewing. However, be warned that this is not a device that you’re going to be using one-handed, nor one that slips easily into a pocket. You do get the more modern 19.5:9 screen ratio. Resolution wise you’re getting 1242 x 2688 pixels, giving you around 458 PPI. This means sharp, clear pictures that are a joy to look at. On top of that, this is a Super AMOLED display, so the colour resolution is excellent with bright whites and true blacks. Plus, this is a 3D touchscreen, so you do get that long press/short press option too. Whether you’re into movie watching, gaming, or just web surfing, this display is fantastic. It’s bright, clear, and truly amazing to look at. Definitely one of the best displays around right now. Apple have worked hard to improve their reputation when it comes to cameras over the last couple of years, and that’s obvious when looking at the XR Max. There’s a fantastic camera set here. Up at the front (in the infamous notch) you’re seeing a 7 MP HDR cam with f/2.2 aperture, perfect for selfies and video calling. At the rear, there’s a dual camera set made up of two 12 MP lenses. One of these is a f/1.8, 28 mm lens, the other a f/2.4, 52 mm lens. This gives you the option for clear close ups as well as solid distance shots, plus good low light level photography. You get phase detection autofocus, optical image stabilisation, 2x optical zoom, quad LED dual-tone flash, as well as all the other things you’d expect (like HDR and panorama mode). For pros and amateurs alike, the XS Max takes brilliant pictures. Clarity is excellent, colours are true, it’s close to impossible to get a bad shot on the Max. Obviously, there’s a lot of extras going on here, and we really don’t have space to go through them all. Some things do deserve special mention though. First up, this is an IP 68 rated phone, meaning it’s dustproof and waterproof in up to two metres of water for up to thirty minutes. You’re getting solid battery life too. A big 3174 mAh battery should be enough to give you all day power, and its rated for around 25 hours of active talk time. You get wireless charging as well, plus there’s quick charge tech so when plugged in you’ll get a 50% charge in thirty minutes. The Max has face identification unlock, so there’s good security, and Apple have patched several flaws that we saw in last year’s face ID tech, so it’s better than ever. There’s still no headphone jack, but there is wide stereo sound which is noticeable if you frequently listen to audio without headphones. The iPhone XS Max comes in three versions. There’s a 64 GB, a 256 GB, or a 512 GB internal storage model. This is Apple though, so you’re not getting an SD card slot, meaning you won’t be able to add any extra external memory to that. You also get the choice of silver, space grey, or gold. We’ll be straight: the iPhone XS Max is expensive, very expensive. This is a top end phone, but the good news is that it’s likely to be available through all the major operators, meaning you get plenty of contract choice. If you’re looking to buy SIM free and pair with a SIM only deal you’re going to be paying £1099 for the 64 GB version, £1249 for the 256 GB version, or £1449 for the largest 512 GB version. On contract, prices run from about £70 or so, with upfront costs going from about £20. If you’re shopping for a contract including the XS Max then data should be your main concern. Look for contracts that offer big data packages, since you’re likely to be using a lot of it. Also, do ensure that your contract includes 4G data, rather than just the slower 3G data. But if you’re constantly on WiFi, you could save yourself a few pounds each month by going for a smaller data package, so keep that in mind. If you’re looking for savings on buying the phone itself then the bad news is that you’re probably not going to get any deals. Apple nearly never drop the price of an iPhone until the next model up is released, meaning we’re unlikely to see a price drop before September 2019. If price is a problem then you’re better off looking at older model iPhones, or waiting three months or so to see if you an pick up a refurbished version from an operator. Shopping for a top of the line phone? Then the iPhone XS Max is going to be a fantastic choice for you. With excellent performance, good looks, and a wide variety of contract options to choose from, the Max is sure to be a best seller! The 2018 flagship iPhone has finally arrived and no one is more excited than we are. We love it all. From the classic design to the huge display and everything in between. It’s a fantastic camera phone, it gets lightening fast performance, there’s really nothing to fault here. If you’re in the market for a seriously top end phone, then the iPhone XS Max is going to be the choice for you. It’s brilliant!